Journalism ethics for everyone: Italy, the USA, and a tool for a do-it-yourself code. The difference between journalism and other forms of communication is its ethics, whatever laws and regulations dictate or allow. The Online News Association (ONA) recently created a website to help news titles and single journalists to create their own code of ethics. 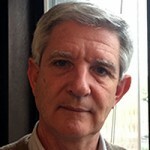 We will show and discuss it, comparing the American and Italian professional cultures. 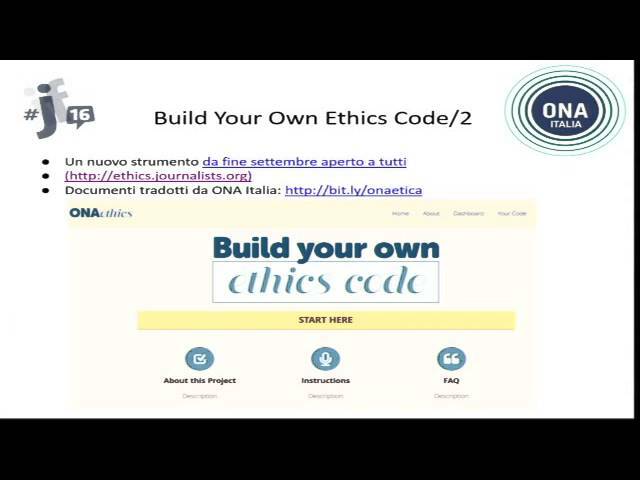 The DIY Ethical Code project was launched two years ago at ijf14 in Perugia. Organised in association with ONA Italy.